Our tips on how to best incorporate the Ayurvedic way of living into your every day life is continued in this article. Go to bed early. 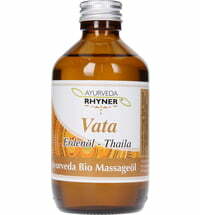 Ayurveda values a good night's rest due to the positive effects that our body and mind is rewarded with as a result. Being well rested in the basis for all activities. It restores our energy levels ensuring that we are physical and mentally capable of tackling the tasks that lie ahead. Rise early. This proves effortless when we have had a good night's rest. According to Ayurveda, it is advised to retire for bed before 10 pm. This gives us time in the morning to prepare ourselves for and concentrate on our daily routines. Another bonus is surely having time to enjoy the most important meal of the day: breakfast! Which leads us to our next tip. Prepare a wholesome breakfast. When we omit this vital part, pitta is often imbalanced. Try incorporated cooked apples or other sweet and juicy fruits into your breakfast planning. This not only stimulates digestion but also helps transport toxins from the body. It is advised to enjoy these fruits first thing in the morning and the rest of your breakfast approximately 30 minutes later. Spice up your life. 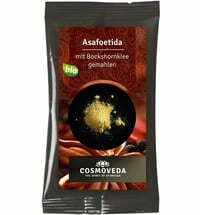 The positive and healing benefits of spices have been know in Ayurveda for centuries. Spices such as cardamom, coriander, fennel or tumeric are exceptionally beneficial for digestion. To regulate the dosas, delve into some churnas specially formulated for this purpose. Care for your hair. To achieve luscious hair it is essential to consume the proper foods. Snack on fresh fruits instead of popcorn, nuts instead of sweets or candy. Small changes made to your diet can make all the difference. Detox. Take measure to detox the body on a regular basis. A ams-reducing diet does wonders in such cases. Connect with nature. Our fast-paced way of living has lead us to disconnect with nature and its wonders. A jam-packed schedule has resulted in our being constantly on the chase to get tasks done and not concentrate on the stillness. Go outside and take a walk in the forest. We are all part of nature so take the time to enjoy its beauty and pleasures. Pamper your body with a massage. Our skin requires some TLC every now and again so take a moment and massage it with warm Ayurvedic massage oils that intensifies the process of putting both mind and body at ease.